The project won the first runner up position of the 2010 Qatar Today Green Awards and was one of the very first solar lights installations in Qatar. RasGas, one of Qatar’s largest companies, is an active driver of sustainability initiatives. 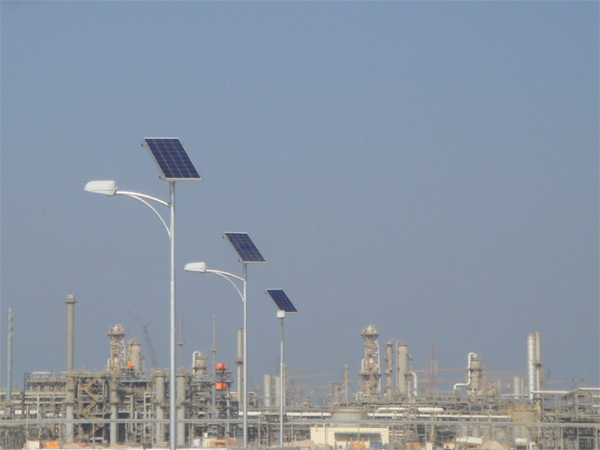 The project involved the design and installation of a system of solar light poles on the premises of RasGas in the Ras Laffan Industrial City to make the streets safe at night while drawing energy from the sun during the day. 23 solar light poles were installed to help RasGas reduce CO2 emissions as part of their commitment to environmental sustainability.